After intense and orderly preparation, the work of the 121st session of the Canton Fair has been basically completed, will be officially opened on April 15th, Xu Bing pointed out that the 121st session of the Canton Fair is on the new starting point of history of the key, it is not only in the past 60 years of history writing, is the next stage of brilliant opening. We will be under the leadership of the Ministry of Commerce, the general secretary Xi Jinping and Premier Li Keqiang congratulatory letter written instructions as a guide, firmly establish and implement the national innovation and coordination. Green, open, sharing development idea, overall rise of internationalization and specialization and marketization and informatization, the construction of the wisdom of the Canton Fair and fair green, better play the role of a full range of foreign open platform for Chinese foreign trade transformation and upgrading and construction of foreign powers and make due contributions. The first period is 2017 -19 April 15th. The main categories are: Electronics and household appliances, lighting, vehicles and accessories, chemical products, five all and tools, machinery, building materials and energy import exhibition area. 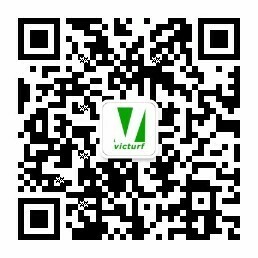 JIANGSU VICTURF CO.,LTD is in the first phase of Canton Fair building material area. Last ：JIANGSU VICTURF CO.,LTD Real time report..
Next ：PROFESSIONAL MAINTANCE SKILL ABOUT ARTIF..